Ok, it's finally no longer in the 90ºs here in SoCal. Thanks goodness! 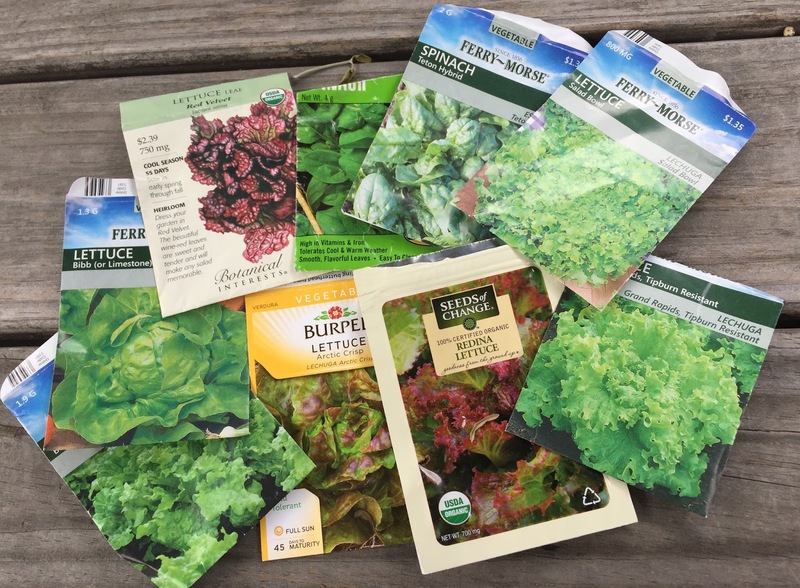 I've been waiting for the weather to cool down to plant lettuce seeds. It's one vegetable that I CAN grow. Lettuce is a vegetable, right? Since I'm not a good cook, I'm a big salad girl. I love winter here when I don't have to buy lettuce for several months. But this year I'm having raccoon problems(as stated in previous posts). So after I sowed 7 different Lettuces plus Spinach, I had to cover them. On the empty bed I used metal hardware cloth like I put over my Sweet Pea sprouts. It's the same stuff we used for the fencing to hold up tall growing vegetables(Sweet Peas this season). I used up the last of that roll. I stapled it to the edges of the bed and zip tied it in the center since it wasn't wide enough. Not sure if I'll remove it when the seedlings get about 4" tall or not. They can grow up through it. And since I only plant leaf lettuce and not head lettuce, it's easier to harvest. You can just pull off leaves instead of waiting for the whole head to be ready. The leaves keep coming. On the bed with the fence, where I planted the Spinach, I strung some fishing line across and back a bunch of times. I've heard that raccoons don't like fishing line. Let's hope! Are you growing winter vegetables? I've tried carrots. They need perfectly rich and tilled soil to come out straight. I tried Parsnips and Turnips last year. I didn't like them. Broccoli gets aphids. And all the cole crops get caterpillars. And I'm not really into peas. Remember that I can't really cook. In my opinion Autumn -Spring is the best time in SoCal. I hate Summer. I'm sure you east and midwest peoples opinions differ. It's so hot that it saps my energy and I can only work like 7:30am-noon. In cooler weather I can work in the afternoons too.